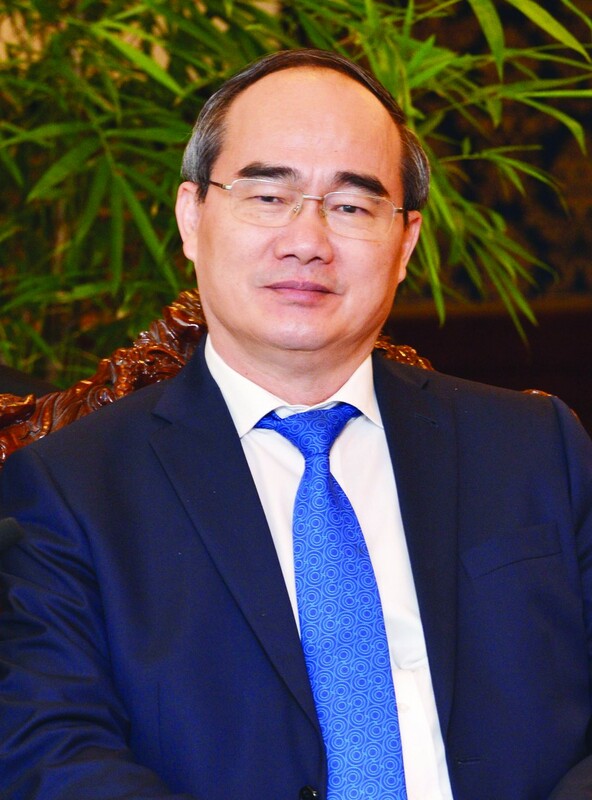 Three long term breakthrough solutions have been supplemented to sufficiently mobilize resources and create motive power for HCMC to develop more sustainably, faster than before and suitably with current urban development rules, said Secretary of HCMC Party Committee Nguyen Thien Nhan in an interview with Sai Gon Giai Phong Newspaper. In the interview about breakthrough solutions for HCMC published in the New Year Special Issue, Mr. Nhan added that the 10th congress of the city Party Committee determined seven breakthrough programs to develop the city into a hub of the Southeast Asia region. They include human resource quality, administrative reform, growth quality and competitive ability improvement, traffic jam and accidents, flooding reduction, climate change and sea level rise adaptation, environmental pollution reduction and urban planning, he said. In 2015-2016, the city Party Committee, authorities and residents have drastically carried out these breakthrough programs and gained meaningful results. 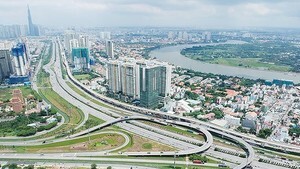 However, after reviewing the implementation process as well as five years of conducting Politburo Resolution 16 on HCMC development by 2020, the city realized that it has not had enough resources and motive power to develop faster and more sustainably on a level with large cities in the Southeast Asia region. Therefore, three breakthrough new solutions with long term visions have been supplemented, suitable with development rules of large cities in the world and Industry 4.0. The first solution is the Smart City project in the phase of 2017-2020 with visions till 2025. It was publicly announced by the city People’s Committee on November 26 last year. Smart City aims at relatively high economic growth, sustainable development; developed services including health and education and good living environment; city government’s good service; residents and social organizations’ participation in management and supervision. The project comprises three groups of solutions. The first group is four city level measures include building a shared and open database, socioeconomic development simulation and forecasting center, project management center and information safety and security center. The group of management and smart development solutions cover fields e-government and smart urban planning, traffic and environment management, education, health, security and anti-flooding. Human resource training group comprises coordination mechanism and financial policy, human resource training, communications and startup ecosystem building. Mr. Nhan underlined the need of focusing on the first group that creates a foundation for the city to develop and obtain the four purposes of the Smart City project. From that basic, the city will implement smart management in all fields. Without the four city level solutions, an e-government could not be a smart government and there would be no smart planning, health and education. Of the four purposes, three aims at serving residents’ lives and the fourth one is to promote their role. So the Smart City project does need residents’ self-motivation and activeness in practicing their three functions of social sensor--recording positive and negative phenomena in the society, creators and social masters. The second long term breakthrough solution mentioned by Mr. Nhan is Resolution 54, approved by the National Assembly on November 24, 2017, on piloting specific mechanisms for HCMC development. 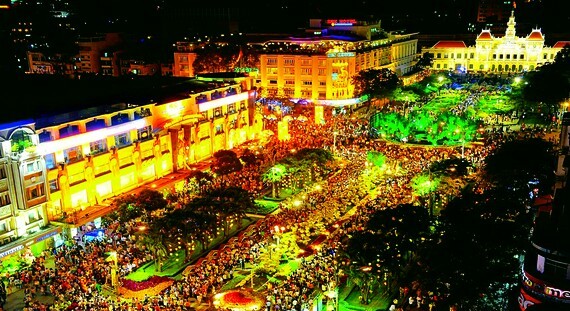 Before the resolution took effect on January 15 this year, HCMC Party Committee, People’s Council and People’s Committee had issued resolutions and plans to determine major contents which the city need to focus on implementation in the three years phase of 2018-2020. HCMC People’s Committee will carry out 21 projects. In the first half this year, it will prepare for reporting the projects to the standing board of the city Party Committee and submit them to the city People’s Council. The projects include authorization and decentralization by the city People’s Committee and chairman, streamlining of management boards of projects under the city and districts, adjustment of some fee levels, talents and experts attraction and public payroll increase. Performing the resolution will become the top political mission of the city in association with the seven breakthrough programs of the city Party’s Committee. The committee’s standing board will listen to reports by the civil affair board of the city People’s Committee on implementation results monthly and quarterly and give guiding opinions. During the process of building the 21 projects, the city will mobilize the attendance of experts, scientists, organizations and businesses, classes of residents and Vietnam Fatherland Front in HCMC. Innovative district project is the third breakthrough solution, comprising Districts 2, 9 and Thu Duc with the total area of 21,000 hectares, population of one million people. The area will be home to high-tech parks, industrial parks and export processing zones with 15,000 businesses, Thu Thiem new urban area, 12 universities with 1,500 doctors and over 7,000 students. The project will be the locomotive in conducting Industry 4.0 in HCMC and the southern region. After over 30 years of Doi moi (Innovation) without specific mechanisms, HCMC has had the country’s most modern economic structure. Industry and service made up over 90 percent of the city’s economic structure in 1976 and 99 percent in 2015. HCMC’s labor force has the highest level of ability in the country with about 30 percent having college or bachelor’s degrees. The city has the most number of enterprises accounting for 34 percent of enterprises in the country, the largest private economic sector whose investment capital accounts for nearly 65 percent of total social investment capital in 2016 and the highest labor productivity. HCMC is also the country’s largest financial center. Since 2010 till now, the city’s development has slowed down or even lagged behind the country growth rate in some fields. Annual economic growth drops from more than 10 percent to 8 percent and in the danger of dropping below 6 percent. Foreign direct investment (FDI) attraction, export ratio compared to the country and the attractiveness of competitive environment have also reduced. Problems such as traffic congestion, flooding, environment pollution have been in uptrend. The ratio of drug addicts is highest in the country. The number of cases coming up for trial is also highest, making up 16 percent of the country’s total while population accounts for only 9 percent. In the process of seeking solutions for the above issues, HCMC Party Committee has realized two obstacles. Firstly, management mechanism is unsuitable with characteristics of the most crowded city in the country. For the last 20 years, its population increases by one million people every 5.5 years. Population density is 15 times higher than the country’s average. HCMC is also the economic hub contributing to 28 percent of the country’s budget revenue. The second obstacle is the shortage of resources to maintain high and sustainable development, solve demand in infrastructure, social culture, health, living environment amid the context which the country has been heavily affected by climate change. The city has submitted about 82 percent of its revenue to the central budget and kept only 18 percent for regular spending and development investment. Resolution 54 of the National Assembly piloting specific mechanisms in the next five fields including land, public investment, finance-budget, administrative apparatus and public payroll has opened a new renovation chance and created motive power for HCMC to mobilize resources, overcome difficulties and challenges and develop more strongly and sustainably.